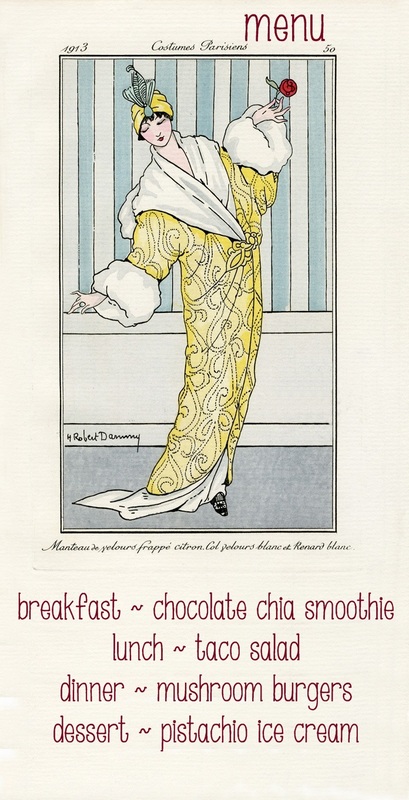 This is a simple, creamy ~ kind of decadent ~ way to start the day, that's also packed with healthy protein and omega-3s. In a blender, combine all ingredients except for the pistachios. Puree until very smooth. Top with a few chopped pistachios, if desired. Make the walnut taco meat first and set aside. In a food processor fitted with an "S" blade, pulse the walnuts, half a tomato, cumin, and salt until chopped but still a little chunky. 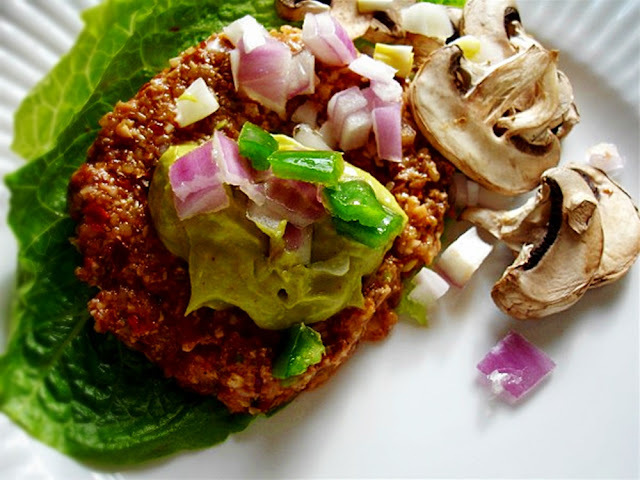 To a bed of chopped romaine, add the walnut taco meat, the other half of tomato (chopped), sliced onion, a bit of sliced jalapeno, chopped avocado, and olives. Top with a couple scoops of cashew cream. Blend all ingredients in small blender until very smooth. Store leftovers in an airtight container in the refrigerator for up to three days. I'm doing a quick giveaway today, too. I'll be giving away one copy of my ebook. It's the spring ebook (I haven't done a winter one, but do have a summer one in the works!). All you have to do is leave a comment below! Deadline is Sunday, February 3rd , at 11 pm. I'll announce the winner next Sunday! eBook recipe list available on Recipe Books page. I'd love a chance to win a copy of your spring ebook. Thank you. I always check out this website before buying any products about nutrition – onlinenutrition.info . My personal favorite is the review of Super Nutrition Academy because it shows a ton of ways to improve your daily diet. I just started reading this blog, and I'm loving all the recipes! Really appreciate the nutritional info as well. I believe that your recipes, and others like them will become the way that the majority of people will be eating in the near future. Keep up the excellent work, and we will all spread the word. Thank you for your inspiration. I would love to win a copy! I just found your blog a few days ago but have been drooling over all of the photos. Thanks for the chance to win! Yum! I would be so excited to win your ebook! I can't wait to try the avocado mayo. I love avocados, and I've been looking for new ways to prepare them. I would be so grateful to win your ebook! Pick me! Pick me! I just found this site and love it! It makes this seem suddenly doable. . even on a tight budget. But even more doable with a cookbook. . . .
Oh yum! I want to come over and have this menu with you. 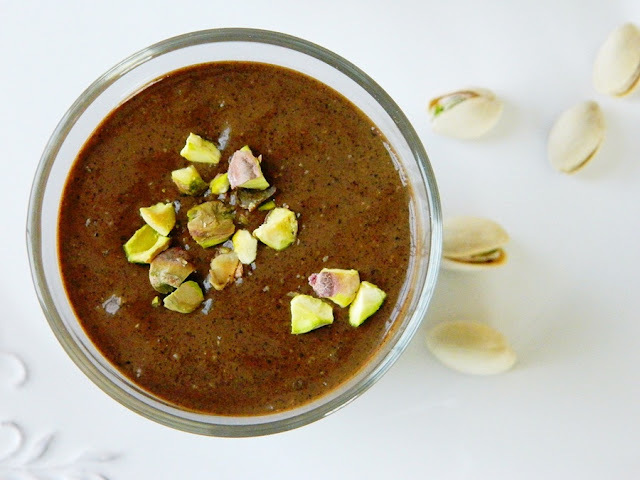 Oh, and the pistachios in the smoothie were the perfect pop of color. Got my attention right away. Wow those are some epic recipes! I would love to win a copy of this book! I have your other copy and I love it! Yum! I'd love to check out your ebook! Thanks for sharing your mushroom burger recipe...it looks superyumful and I have such a burger craving right now! Your recipes are always brilliant and I'd love to learn more of them! Cheers! I have been watching your site for a few years now. I love your recipes. Yay!!! I love your recipes! I make them for my kiddos at home and am teaching them at my school for Toddlers. Thank you for so much inspiration!! I gave you a blog post too! I'd love getting your e book! Awesome, so looking forward to making these. Everyday I look forward to your menus and recipes. Everything is always fantastic! Thank you so much for your incredible creativity and inspiration. Blessings and blissings. Can I join you for a day? This looks amazing! those mushroom burgers look soooo intensely good. would be so grateful if I won your ebook. you always impress me with your gift of creating raw foods recipes that dazzle and amaze yet are so simple to make. I would LOVE to win your ebook! Your creations are incredible... so gorgeous and healthy! Awesome work! Thank you so much for all you do! Loving your work and look forward to your emails! Love trying out your recipes! I would love to see what's in the ebook. new to your website! your recipes looks so good and healthy. glad i found you! I just discovered your blog, it's awesome! Thank you for showing how it's easy to eat healthy and inexpensively! Very inspirational, I eat mostly raw, but I think I'll try out some of your recipes and see if I can get back to 100% raw. I am new to your blog. The recipes look amazing!!! Your information will be helpful to those folks who believe they cannot afford to eat healthily. In reality, you can't afford not to. Thanks for all you do!! It all looks so delicious and affordable too; thank you! As a big fan of your blog I would love to win the book! I love getting your emails! So many inspiring recipes. Please work on a winter ebook too, it's difficult to figure out what to eat when fresh stuff isn't so plentiful. Keep up the great work! I would love a copy of your e-book :) I love new raw recipes and so many yummy ones I see on your blog. Love your blog which makes going raw flavorful & affordable for my family of 6. Thanks for all your wonderful receipe I've enjoyed them very much. I just discovered your blog and I'd love to win a copy of this book. I am new to raw/vegan and would love this to get started! Beginning my raw journey and would love to win an e-book. Peace and Blessings! I would love to win your e-book.I am fighting to keep in remission due to Auto Immune disease.Raw has helped me keep my lab values near normal ranges. 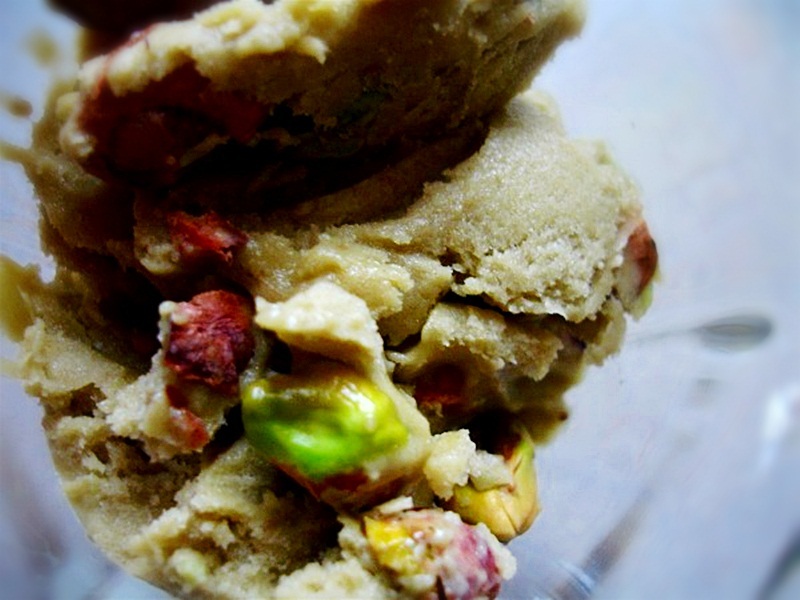 The pistachio ice cream sounds amazing! Lisa, u r awesome. So easy, healthy, and tasty. I tryed few days on ur menu plan - works perfectly for my family! Even kids enjoy my raw menu! No worries, no big plan-aheads. Just open the page and choose the date. Thank u sooooo much for organizing it for us. Blog works great but winning ur ebook will be such a gift since i can download it and print! U r my inspiration. Cant wait to share ur recipes for Russian bloggers! By the way, making one of ur cakes ;) Its in dehydrator right nw. Tomorrow my beloved husband and two kids will have a treat they deserve ;) THANKS!!!! Fantastic collection of recipes. You can also check AllRawFoodDiet.com/raw-food-diet-recipes.html to know more about raw food diet recipes. Those mushroom burgers sound SO wonderful! I would love to win your ebook! I would totally love to receive your ebook. My BF has a sweet tooth and I am going to start making your desserts for him. Thank you! I would eat the taco salad for breakfast, lunch, ans souper! It looks sooooo good! Looks and sounds delicious! I would love to receive your ebook, you're such an inspiration! Wow! Your site is super motivating! Cant wait to try your recipes! Just blogged about the giveaway. I'd LOVE to win a copy! Such easy recipes! And I've tweeted about the giveaway. Great blog so usefull and beautifull ! I just found your blog and it is utterly brilliant! I am doing a 28-day reset to help me settle into a high raw routine and this is incredibly helpful! Are regular olives raw? I'm thinking about trying your taco salad this week. It looks so good! Hi Babette, regular olives in a jar or can aren't raw because they have to be heated to be sterilized. Let me know how you like it! I'll probably make this on Thursday... How about capers? Are they raw? 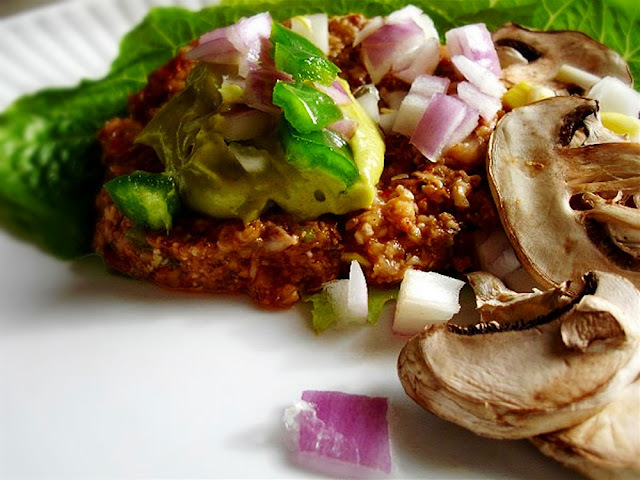 The recipe is very much interesting, however I like the Mushroom Burgers because I believe the most of the onions are using on this recipe which is also a very good raw food for health. Awesome post. I would like to take taco because I love it and it affordable to me. Thanks for your post. I also love juicing diet plans because it's very helpful to our health. I really enjoyed your blog ! love the Lunch Taco Salad which I started making on a regular basis !